Phew, what a week, topped off by a fabulous weekend. The girls were on winter break, Chantal was visiting and it was Ron’s birthday. 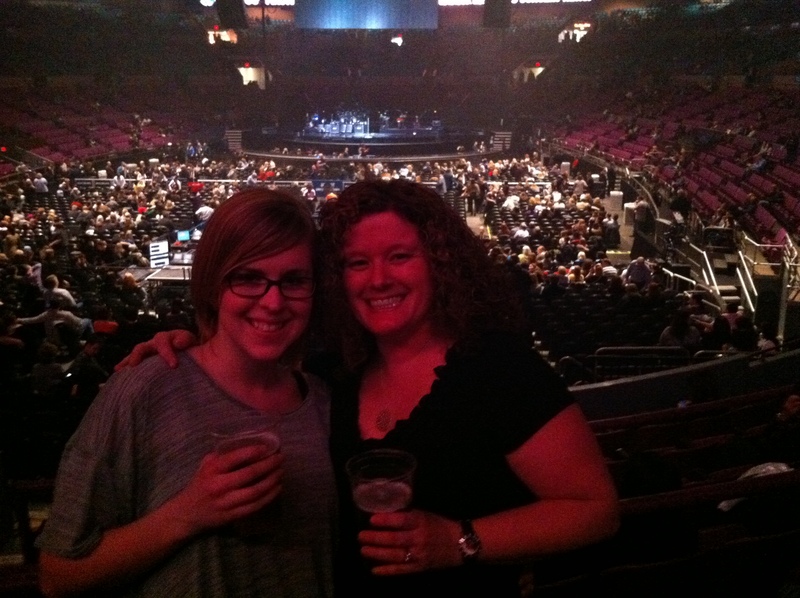 The weekend started out on Thursday night when Chantal and I ventured to Madison Square Garden to see Bon Jovi. The tickets were a Christmas present from the fabulous Ron and I was very much looking forward to rocking out as well as scoping out the crazy people still stuck in the 80’s. I dragged Chantal along with me promising that there would be lots to see and by reminding her of the simple fact that everyone should have an opportunity to see a concert at MSG! We were not disappointed. The show was amazing (Jon Bon Jovi still has IT!) and there were plenty of rocker gals/guys to check out. The woman sitting beside us was wearing her concert t-shirt from her first Bon Jovi concert at MSG in 1987 and she knew every single lyric to every single song. Now that is true dedication. My favorite part of the evening was the encore performance of “Living On A Prayer”. The entire crowd was on their feet singing together, a pretty incredible experience to be a part of. Chantal and I getting ready to rock it! On Friday night we called in a babysitter and actually had the thrill (parents will understand the special treat that this is) of going out to see a movie and then for drinks and tapas. We went and saw the movie “I Am Number Four”. Both Ron and I have just finished reading the book and wanted to see the movie. It was good, not amazing but definitely entertaining. As always, the book is way better. After the movie we went to a great new wine bar in the ‘hood called Tolani. I think it is going to become one of our new favorite places to go and hang out. The food is good and the wine selection is interesting. Love the atmosphere. On Saturday we took advantage of Chantal visiting (hello free babysitting) and Ron and I went out for his birthday to David Burke Townhouse. I am still full thinking about the delicious meal I experienced there. Ron started off with the foie gras and then had the special Lobster Risotto as his main. I had the market salad to start and the Braised Ribs with Cavatelli as my main. We shared the drunken donuts as our dessert. Unbelievably yummy. The best part of the evening was being able to sit and have a conversation just the two of us. Heavenly. The evening stroll through Central Park was not too shabby either. 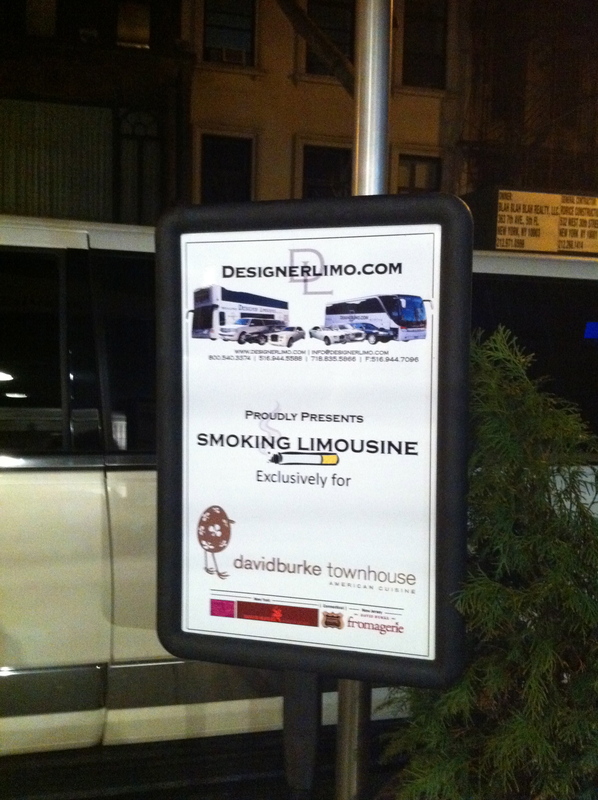 Ron and I thought the stretch limo waiting outside for the smokers convenience was hilarious. After all, standing outside for a smoke is soo passe! 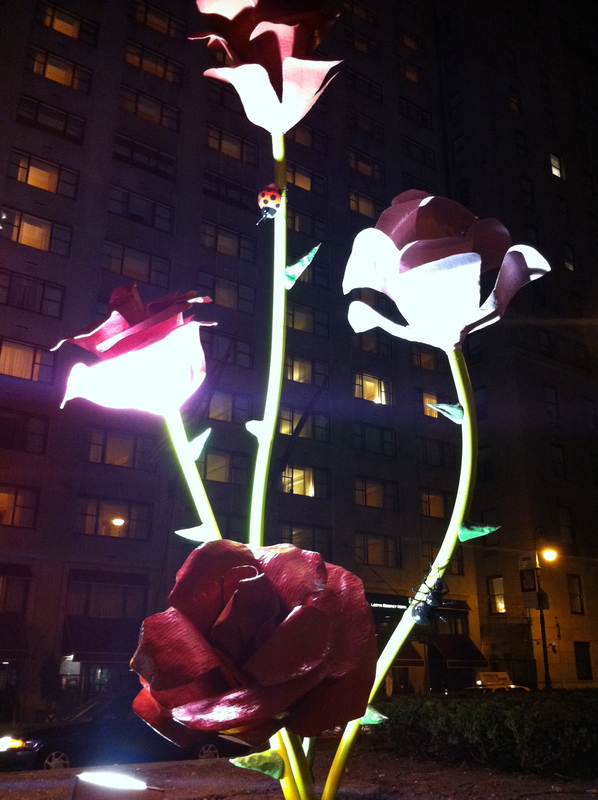 Giant flowers on Park Ave.
Ahh… Sunday, the day of rest. Yesterday we spent the day going to church and getting organized for the reality of the upcoming week. 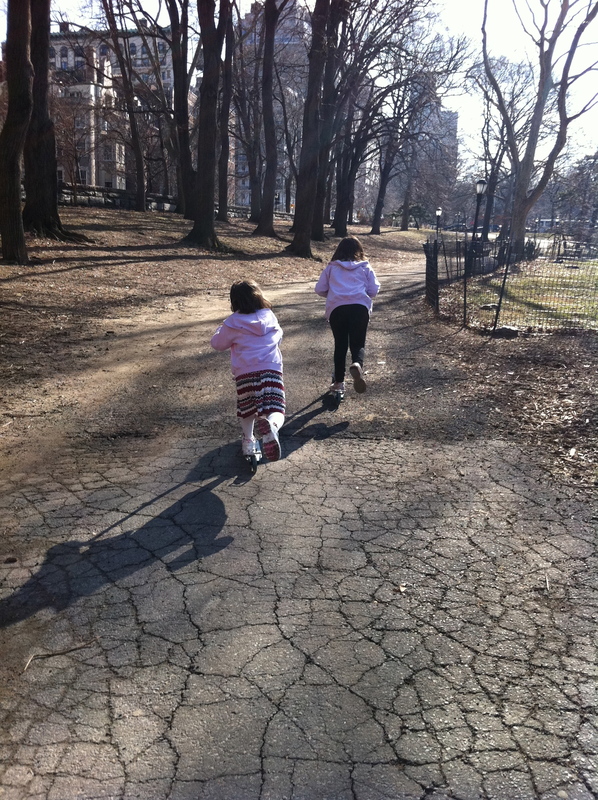 However, the weather was beautiful and we took advantage of it by taking the dogs and the girls to the park. 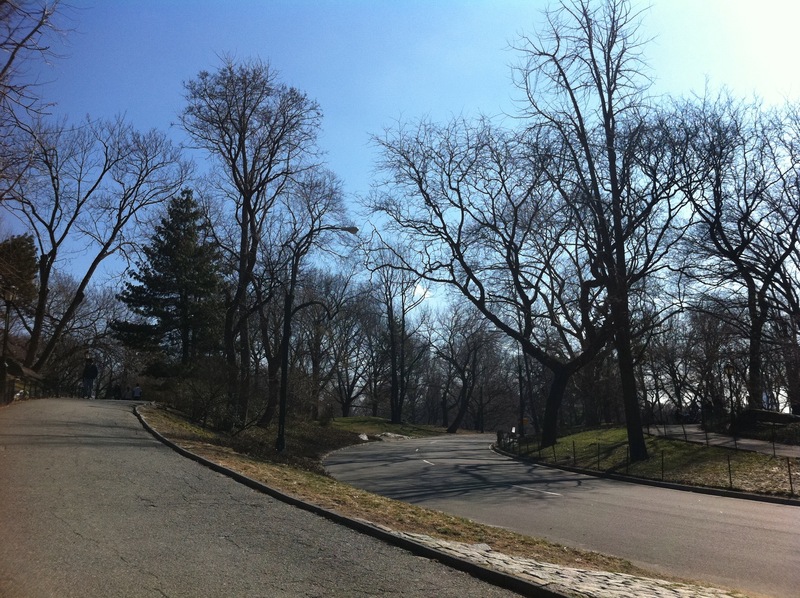 There was definitely a hint of spring in the air. 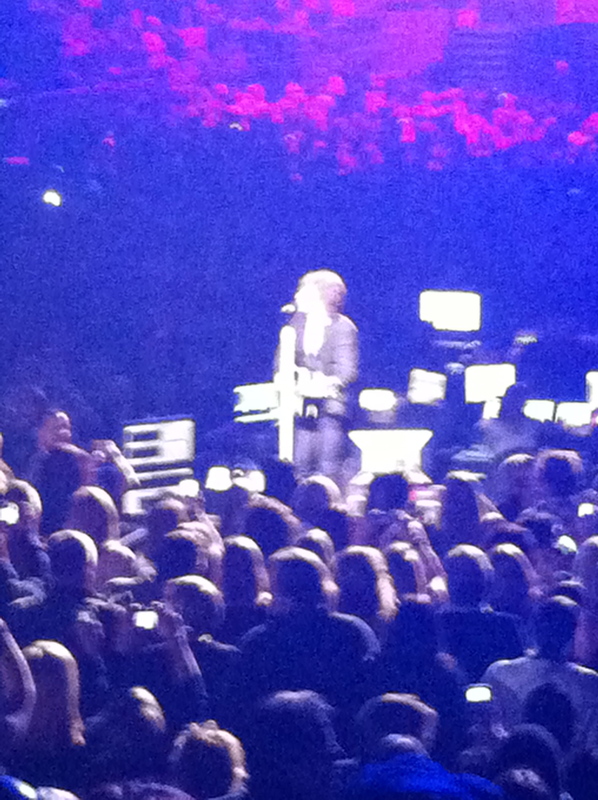 I adore Bon Jovi and never miss him at Giants Stadium! I skipped this concert because I just saw him last summer. I’m sure he was great! I love how the crowd sings along to that song…Amazing…every time! Stuck in the 80’s?? Check out this blog from the St Pete Times website.